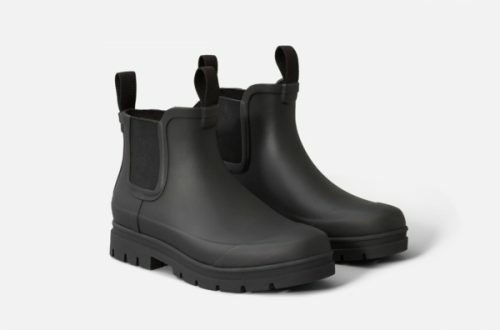 Everlane has launched its first-ever rain boot, and it’s perfect for anyone who wants to pull off a minimalist look on a rainy commute. Available in five gorgeous, totally Everlane colors — Black, Surplus, Stone, Toffee, and Pink — all shades feature a black toe cap, front and rear pull tabs, and elastic side panels. Made of 100 percent rubber, its cushioned insole makes for extremely comfortable wear, and the ankle-cropped height makes this all-season boot more wearable for day-to-day. Don’t let the rain steal your thunder – shop the boots here! Orders with 2 or more items receive free standard shipping within US, instead of paying USD $25 for international shipping, make use of Buyandship to save more!